There is a public drop in session for people interested in the proposals for Lawnswood roundabout. Detailed plans of the Lawnswood junction are here. Agree that at grade cycle crossings are preferable in this location to underpasses and bridges. Agree that a crossroads and Lawnswood is better than a signalised roundabout. Floating bus stops are good. Fundamental issues with the cycle facilities here, both on road and off road (shared) facilities are provided. Dedicated off road cycle facilities with cycle specific crossings should be implemented. 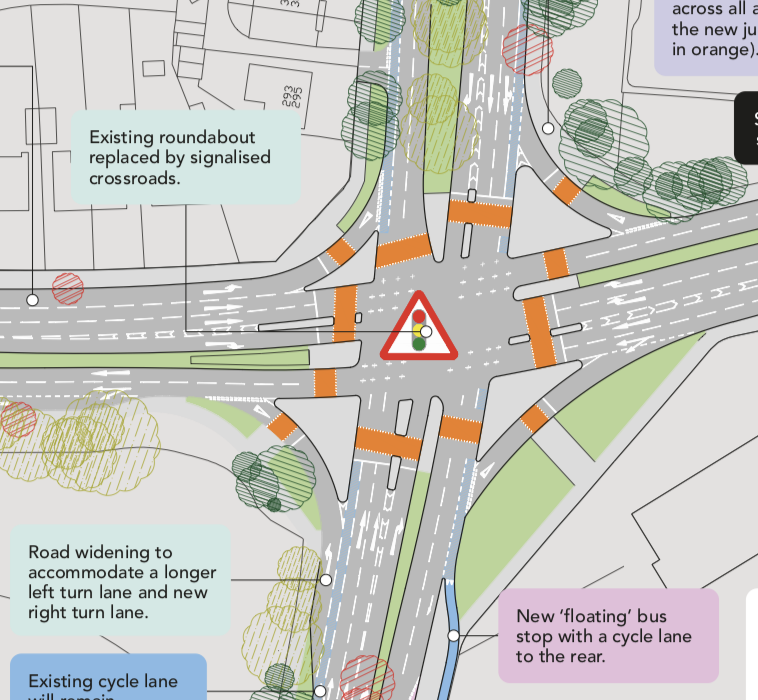 The slip roads for left turning motor traffic should be removed. They add additional crossings and hence inconvenience for both pedestrians and cyclists. They also add risk of collisions for cyclists that are crossing using on road facilities. Pedestrian crossings should be directly across and not staggered. No provision for protected cycle facilities on the East-West orientation have been considered. There is an aspiration within the council to provide protected facilities on the ring road. Hence this should be accounted for as part of this scheme. We would encourage all members to go and make the above comments to both the scheme designers and the elected members that will be present. If we don't make a showing, the design of the scheme will be influenced heavily by others, and not those intereseted in sustainable transport. 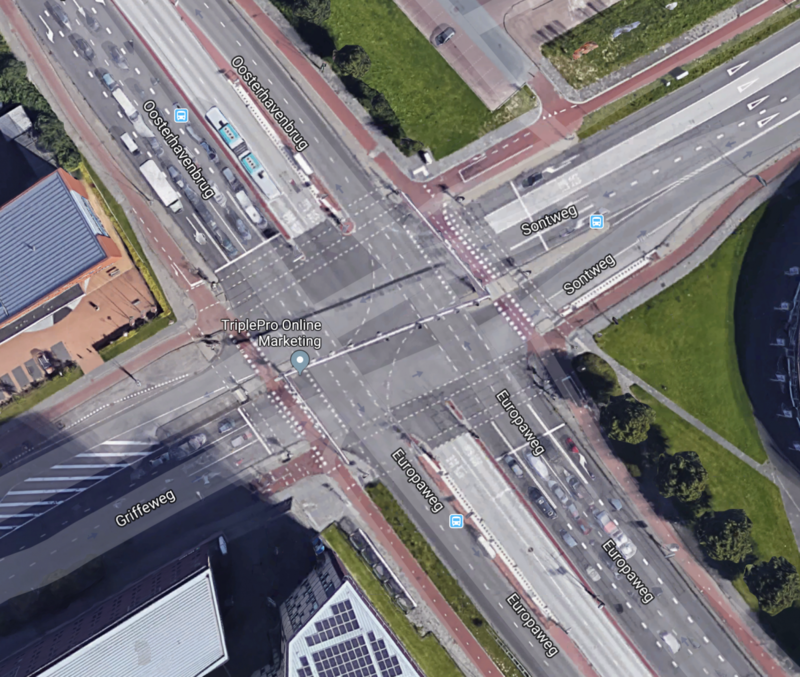 We should be aiming for the image below, a real junction in Groningen.